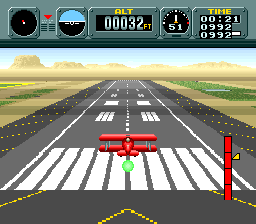 Enable a stage select (including bonus levels), Aircraft debug display. 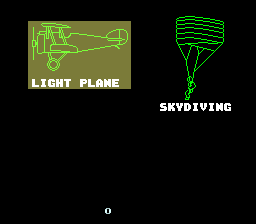 This patch also enables the Jet Heli to be selected from the craft select screen. *Unfortunately*, the code for the Jet Heli was never finished, so expect a 'splash'! :) But it does explain the number of heli-pads in the level designs. 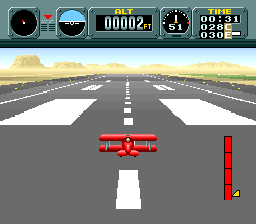 On the craft select screen, press 'X'. 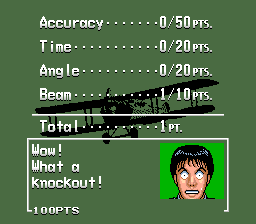 A stage number will appear in the lower portion of the screen. You can change the stage by using TL and TR. Bonus stages are accessible doing the following once in the stage select: • Birdman #1: Stage 0, RocketBelt. • Birdman #2: Stage 0, HandGlider. • Penguin Stage 6, Skydiving. Hold Select, then press 'X'. Data #1 Global Co-ordinate of aircraft. 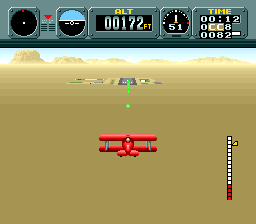 Using one of the above options with the Light Plane sets you in just above the runway for a landing.